The iPhone 5 is expected to start taking pre-orders on September 30th with a release date of October 7. With this, Apple will have released their fifth generation of the iPhone. And the evolution of the iPhone, from June 29, 2007 when the first iPhone hit the market, has been quite impressive. The success of the iPhone has been unmatched in nearly all product releases in history. And the next iPhone, the iPhone 5, is gearing up to be a smashing hit as well. 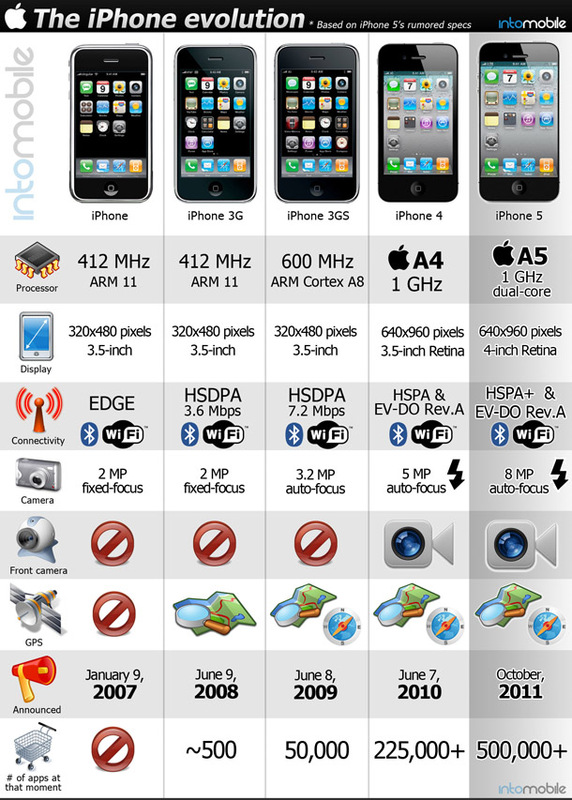 The folks at MobileBurn put together this awesome chart showing the history of the evolution of the iPhone, with the predicted specs of the iPhone 5 based on the most founded rumors available.